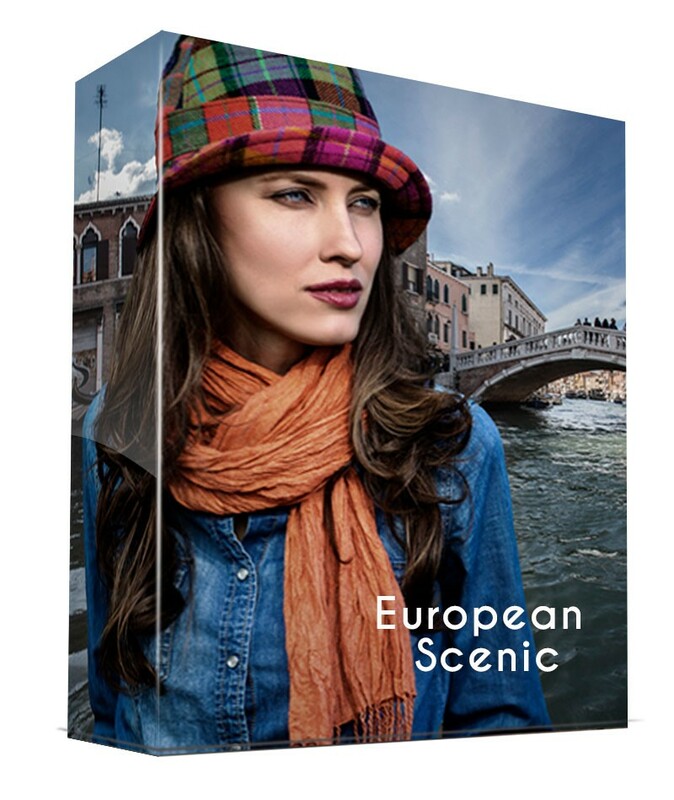 The Scenic Europe Collection places the Old World flavor of Europe’s narrow alleyways; winding cobblestone streets; Ireland and England’s ancient castles and ruins; lush farmlands of Holland; as well as, the quaint villas and vineyards of Tuscany at your fingertips. Let your models take a gondola ride through the canals of Venice as if they are beginning their next venture to dine next to the tower of Pizza. Tags: Advertising, Castles, Creatives, Design, Digital, Digital Compositing, Editors, England, Europe, Graphic Design, Graphic Designers, how to photoshop, Ireland, Location Scouts, Location Sets, Old World Charm, Old World Europe, Photographers, Photography, Photoshop, Photoshop Users, Print, Professional Photographers, Romantic Europe, Scenic Europe. The Scenic Europe Slideshow Gallery shows each image inside this collection in full detail. Imagine, in the luxury of your home or studio, being able to drop your subject into any number of professionally photographed, stunning European location setting photos. We photographed Europe On Location with you in mind. Photographing the different scenes at precise angles insures there is foreground space to realistically drop in your subject. Creating your client’s unique adventure image using Adobe Photoshop – or other editing application which uses layers – you are able to adjust the perspective of your model’s image; add light gaussian blur to a background to create bokeh; control the lighting; etc., to generate a one-of-a-kind and memorable print.